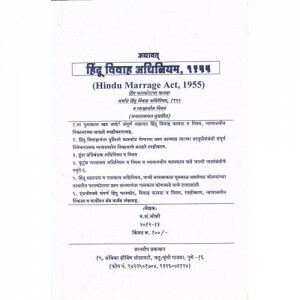 Title : Hindu Marrage Act,1955 ( Marathi) Author : Adv. V. S. Joshi Publisher : Nyaydeep .. 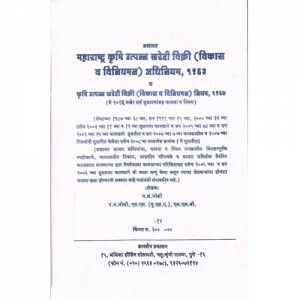 Title : Mumbai Tenancy and Land Act, 1948 (Marathi) Author : Adv. V. S. Joshi, P. V. Joshi .. 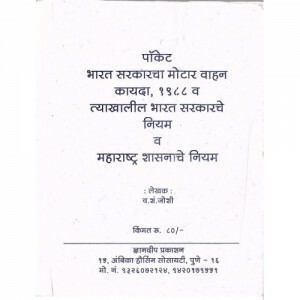 Title : Maharashtra Forest Law (Marathi) Author : Adv. V. S. Joshi Publisher.. Title : Indian Motor Vehicle Act, 1988 (Marathi) Author : V. S. Joshi Publisher : N.. 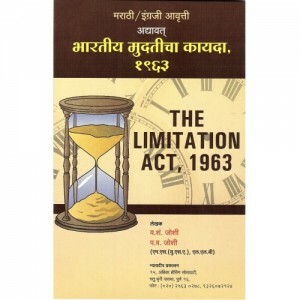 Title: The Limitation Act, 1963 (Marathi / English) Author: Adv. V. S. Joshi.. 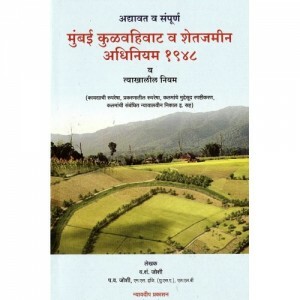 Title : The Maharashtra Agricultural Produce Marketing (Development and Regulation),1963 &196..